Within this section, you will find details of how the healthcare system in Italy is set up and operates. Sign up for an IMTJ Country Subscription for access, or login if you're already a subscriber. Within this section, you will find details of how state and privately funded health insurance in Italy work. Sign up for an IMTJ Country Subscription for access, or login if you're already a subscriber. Within this section, you will find information on medical tourism numbers, our estimate of inbound and outbound medical tourists (where they can be reliably ascertained) and news that provides estimates of medical tourism activity in Italy. Sign up for an IMTJ Country Subscription for access, or login if you're already a subscriber. Find hospitals and clinics, agents and facilitators, services and other organisations operating in the medical travel industry that are based in Italy. Located in Milan, Italy, the European Institute of Oncology (IEO) is one of the world’s leading cancer centres providing the latest treatments for a comprehensive range of adult cancers. In particular, the IEO’s care and research model has become a landmark for oncology worldwide, attracting international patients seeking novel and innovative treatments. Areas of expertise include breast cancer treatment, radiotherapy and urological, gynaecological, thoracic and gastro-abdominal robotic surgery. 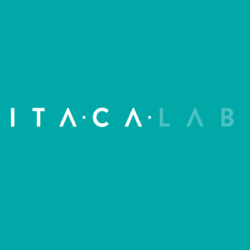 Itaca Lab is a communication and marketing strategy agency specialized in globally promoting facilities involved in Healthcare. They aid companies through communication campaigns, management of social networks, adaptation of sector texts to the world of the web and creation of customized management tools and, in addition, they have an internal tourism division, which can develop and manage services and packages combined with cares.